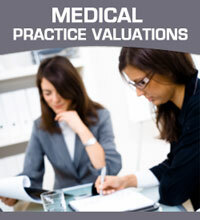 Are you looking for a valuation of your medical practice? We can accurately estimate the value of your practice. Why do I need an appraisal or valuation? For most individuals, the above transactions represent the largest transaction of their lives. Guessing at the value of a business, or using a “friend’s” guesstimate” and being wrong can cost thousands of dollars. Avoid guesswork; use a professional, accredited business appraiser. Doctors Broker, LLC provides independent, confidential, and unbiased business valuations prepared in accordance with industry standards set forth by the Institute of Business Appraisers, the National Association of Certified Valuation Analysts, and IRS Revenue Rulings. Revenue Ruling 59-60 provides the basis for all business appraisals and requires an appraiser to address the following eight factors with respect to the entity being valued: nature and history of the business; economic outlook; book value and financial condition; earning capacity; dividend paying capacity; goodwill and other intangible assets; prior sales; and, market comparables. We have extensive experience in appraising closely held corporations and business interests for a wide variety of purposes. Valuations are determined using the three main valuation approaches: Asset, Market and Income. The final indication of value may be a result of one, or a combination, of these approaches. Each client will receive a written report explaining the methodologies and techniques used by the appraiser. Doctors Broker, LLC was founded on the principle of independence, technical excellence and superior client service. These principles assure you that the valuation service you receive will be free from bias, will meet the profession’s highest standards, and will be delivered in a timely fashion. How Do I Valuate My Medical Practice? While there are several common factors that come into play when valuing any business, each practice brings its own unique set of circumstances to the table, requiring a customized approach to determining its full, actual worth. Whether you want to sell you practice, prepare for your future, or simply complete the formal valuation of what is likely your largest business asset, Contact Doctors Broker today. We have the finest tools available to us to help keep your business goals on track. At Doctors Broker, we understand you need someone with the expertise and knowledge to represent you in the valuation of your medical practice. We are able to access fair market value, understand your needs for an exit (or partnership), and utilize our knowledge of the market to provide you with a detailed practice valuation that will make you feel comfortable you are receiving the most value out of your investment. Determining practice value may be one of the biggest decisions of your career and life, and we don’t take that for granted. At Doctors Broker, we have the years of experience and expertise to effectively evaluate the value of your practice and offer you piece-of-mind you are making the right decision to work with us as experts in the medical valuation industry. What is the medical practice appraisal process? Defining the appraisal assignment. This involves determining: the purpose and function of the appraisal; the standard of value to be used; a description of the property to be appraised; and, the effective date of the appraisal. Gathering the pertinent facts involves both internal and external information. Internal information includes: a detailed history of the business; complete tax returns for the last five years; year-end financial statements for the last five years; interim financial statements through the effective date of valuation; ownership information; prior stock sales; description of products and services offered; market information; customer information; competition analysis; and other pertinent reports as determined by the appraiser. External sources of information relate to the economy and specific industry. Analyzing the facts gathered involves a financial analysis of the tax returns and financial statements; determining the company’s strengths and weaknesses as compared to its competitors; normalizing the financial statements to eliminate personal or nonrecurring items; and forecasting future performance. Determining the final estimate of value involves the application and reconciliation of all appraisal techniques used in the Asset, Market and Income approaches. Preparing the Appraisal Report. This is the final step in the appraisal process and the length of time to complete this step will depend on the type of report required. In most cases, a summary report describing the results of the valuation will be sufficient. However, if litigation is involved or potentially involved, then the appraiser will be required to prepare a comprehensive, self-contained appraisal report. This type of report is extremely detailed and contains all data and valuation steps utilized.